Gord Hunter's No-Badge Killick offers an honest and engaging first-hand look at life in the Royal Canadian Navy during the turmoil of the Cold War, from the Cuban Missile Crisis until the Western World's frosty relationship with the Soviet Union began to thaw. From monitoring Soviet spy ships and sailing in multi-nation NATO Squadrons, to living through the upgrading of Canada's rusting World War II fleet and the tensions surrounding the integration of Canada's Armed Forces, Gord Hunter's refreshing memoir captures the excitement and tedium of the day-to-day life of a regular seaman, whether in Halifax, the Tropics or the North Atlantic. 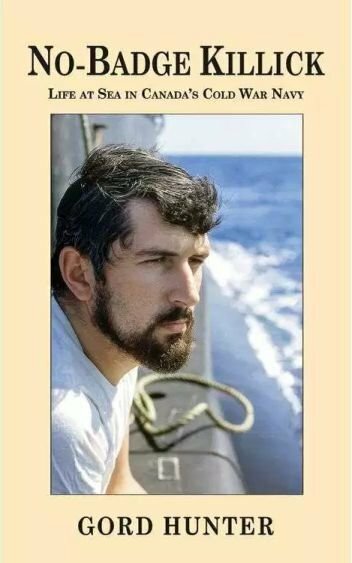 In No-Badge Killick, he explores a young sailor's memories of the fun, frustrations, challenges, and camaraderie of living and working in the lower decks, the life-lessons learned, and the beauty of the ocean world of flying fish, phosphorescence, porpoises, whales, and sharks. Born in Grand-Mere, Quebec, Gord Hunter has lived in six different provinces, and these days hangs his hat in Regina, Saskatchewan. From 1962 until 1970, he served on frigates, destroyer escorts and submarines in Canada's Cold War Navy.